"Nice and simple frosting. I used it on sugar cookies and the kids loved it. I ... read full review"
Assemble all of the ingredients listed above in the recipe. 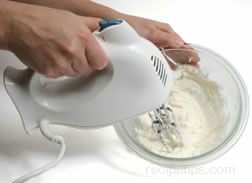 Place all in a medium sized bowl and mix with a hand mixer until all is combined. The frosting is ready after all ingredients have been incorporated. 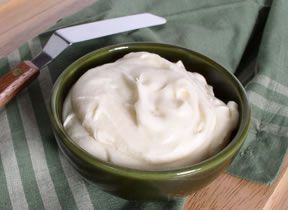 If the frosting is too thick, add a teaspoon of water until it reaches the desired consistency. 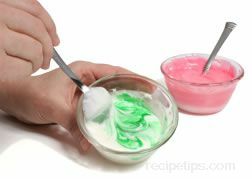 Drop a few drops of food coloring into the prepared frosting and stir thoroughly to give it a color. 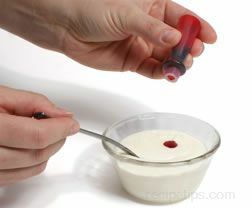 Use one drop for a light color and four or more drops if a darker color is desired. 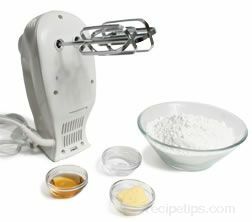 This recipe works well for frosting sugar cookies, cup cakes and brownies and can be easily doubled if needed. "Nice and simple frosting. 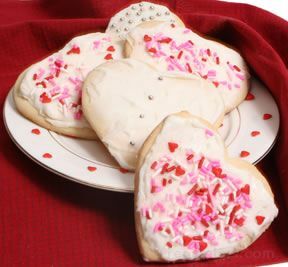 I used it on sugar cookies and the kids loved it. I had never made it before with corn syrup in it. It seems to give it a little smoother texture." "I don't make a lot of homemade frosting but after making this I wonder why not. It was quick and simple to do; and it tasted great. I divided it and made several colors for decorating Christmas cookies." "This is a simple recipe. I made it yesterday and used it to decorate some Christmas cookies. It was easy to adjust the thickness to just the right texture."